Acupuncture is one of the many skills employed at evolve health and wellness as part of an integrated approach to the management of pain and inflammation. 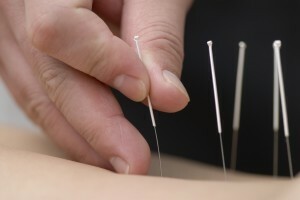 Our Physiotherapists base their treatments on scientific research and clinical evidence that Acupuncture can reduce pain by stimulating the brain and spinal cord to produce natural pain-relieving chemicals such as endorphins, melatonin (which promotes sleep) and serotonin (to promote well-being), to name but a few. These chemicals assist the body’s healing processes and offer pain relief as a precursor to other treatments such as manual therapy or exercise in order to aid recovery. Your physiotherapist will combine TCM principles with scientific evidence as a means of reducing pain and promoting healing, always with the aim of enhancing physiotherapy treatments such as exercise and rehabilitation techniques to promote recovery and improve quality of life.